Personalized, just the way students expect. Today’s students demand tailored information and content based on their personal interests and needs. 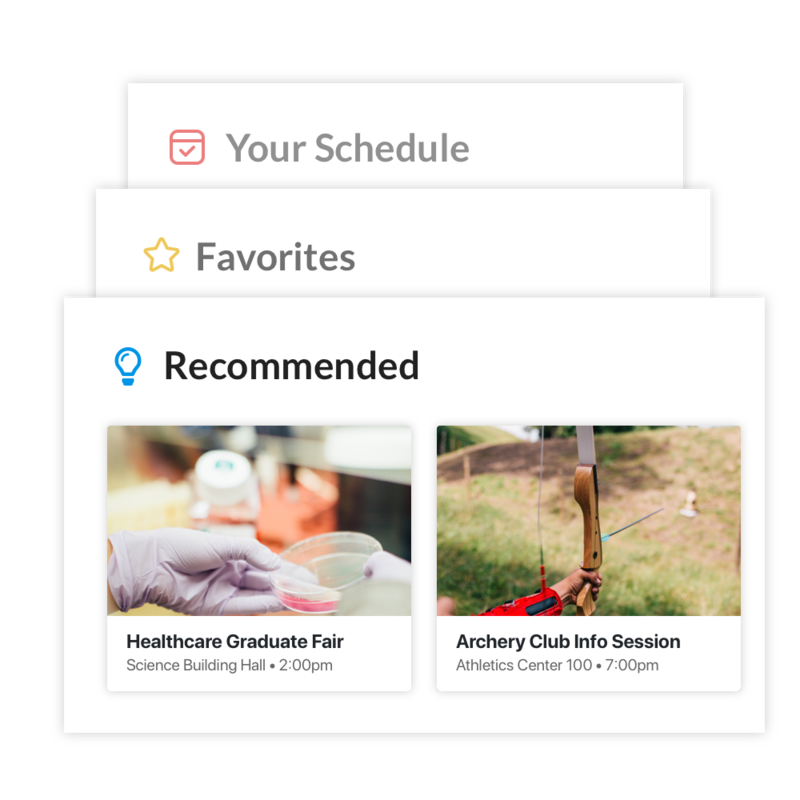 Ready uses a recommendation engine with built-in machine learning capability to suggest targeted events, services, and content to students. Instead of searching across multiple websites, flyers and boards, we've rolled everything a student needs to be successful into one place: their phone. 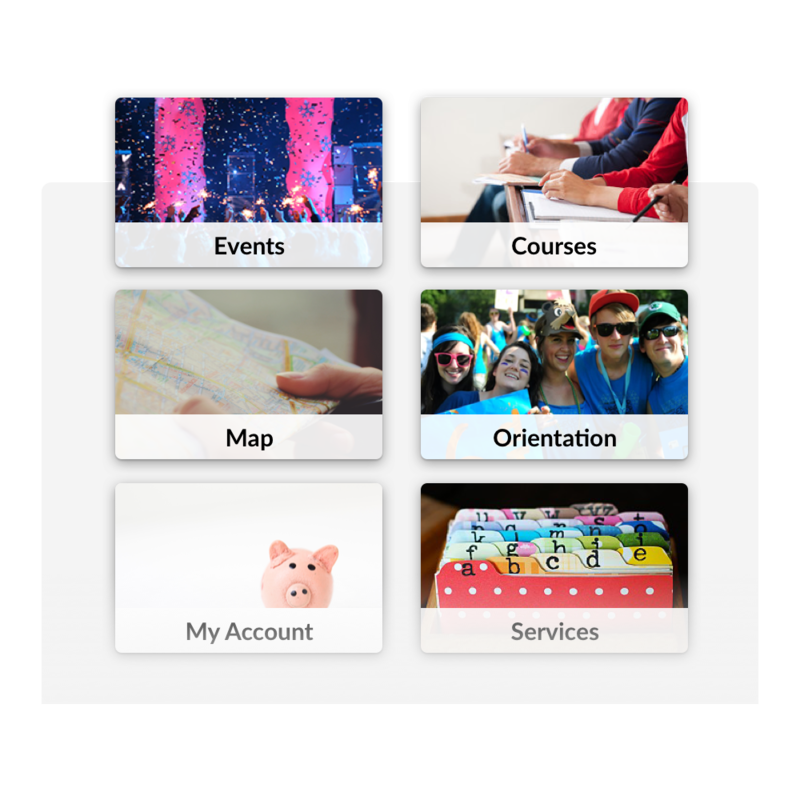 A personalized user experience means students will always see the most relevant content. 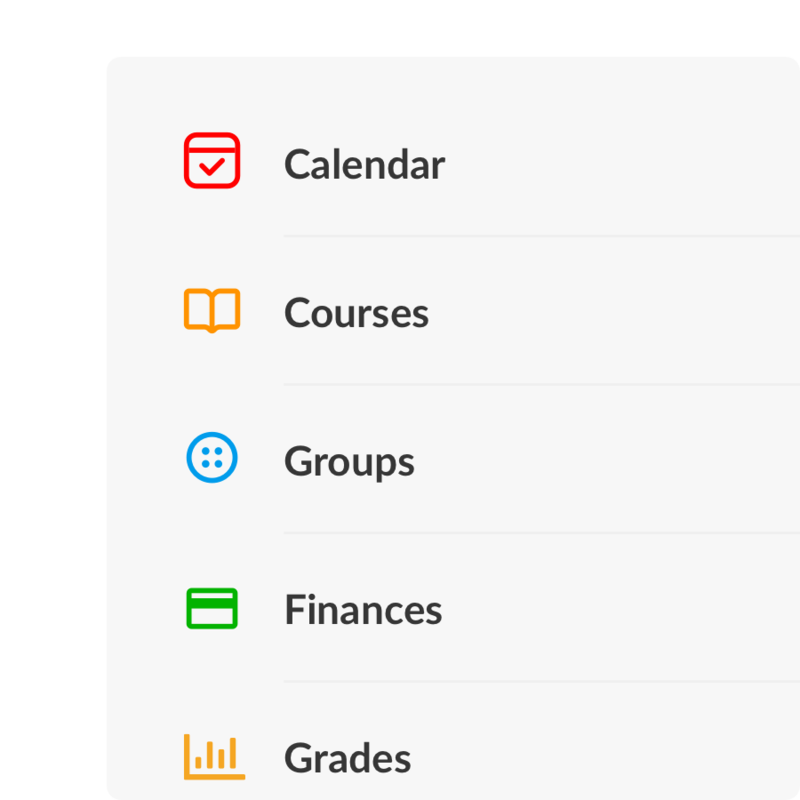 Native integrations enable real-time access to all of the critical academic tools, including courses, discussions, and grades. Rather than making students click through or log into multiple sites, single-sign on ensures security and a smooth user experience. Staying on top of multiple deadlines can be challenging enough and email-reminders just add to the clutter. 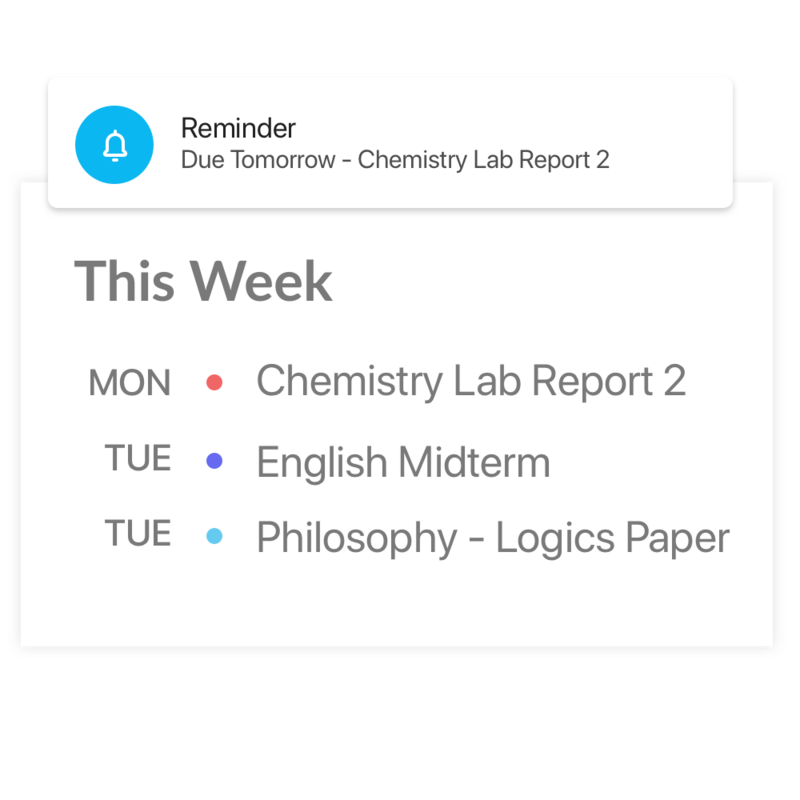 With targeted SIS/LMS-triggered push-notifications, students receive reminders, alerts and critical notifications in real-time, directly on their mobile device.